Just a quick post this week… I’ve been a bit busy as of late, and haven’t been putting in as much time as I need with the site. If you have any information on Abdallah Geahel, please get in touch or leave a comment. Catalog number EM 115 on Empire. No other information available. As much as I had intended not to insert myself into the writing about the music, it became unavoidable. For so many of these records, there is very little – if any – information that is available. So sometimes the process of finding that tidbit of information – or that there is a lack of – becomes all there is to write about. This is one of those records that I have very little to go on. Supposedly how the story goes, is that Ocean was a group of Lebanese musicians who moved to Côte d’Ivoire… But that is all that I’ve got. If you have any further information, or even a scan of the record cover, please get in touch or leave a comment. 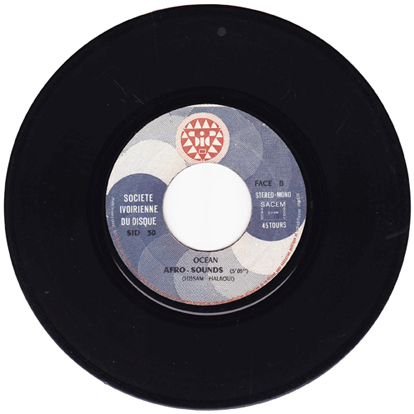 Catalog number SID 30 on Société Ivoirienne du Disque of Abidjan, Côte d’Ivoire, released 1977. This week… I got nothing. O.K., that’s not entirely true. I can tell you that Taroub (or as seen here, Tarup), along with her sister Mayada, were from Lebanon and were of Turkish descent. 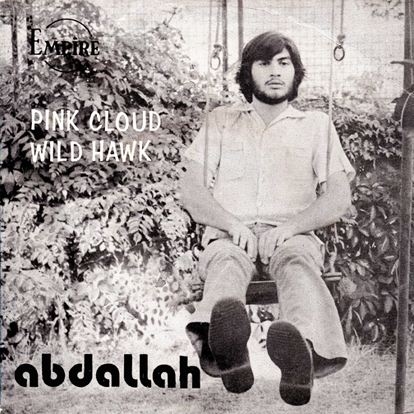 They had recording careers both in Lebanon and Turkey, where this single is from. But beyond than, I can not tell you anymore. I looked up writer’s block, and one of the major causes is “A project may be fundamentally misconceived, or beyond the author’s experience or ability”… This may be true. Guess we’ll find out. If you have any further information, please contact me or leave a comment. 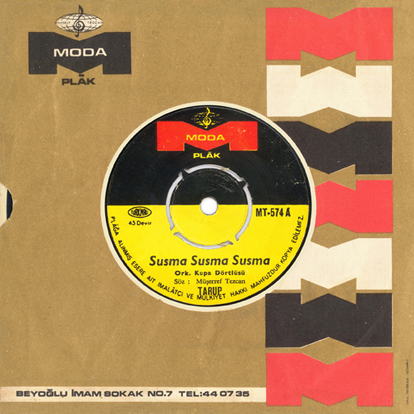 Catalog number MT-574 on Moda Plāk of Turkey. No other information is available. Her real name is Amal Jarkas from Turkish roots, as you mentioned. From time to time she used to go to Turkey for making records, or films, or to fall in love. In 1968 [could be the time around when she made that single] she was in Istanbul taking a part in Lebanese -Turkish production film titled Gang of Women with Sabah as the film star and a Turkish actor. His name is Jonette Arkan. He is pretty much looking like Alan Delon [likely that’s what drove him to acting]. The film ended with Arkan and Taroub romancing reached the limit of marriage concept, but eventually it appears to be it was crush. I do know that this record is from Lebanon. But as for Jacques Kodjian, I am not so sure. I do know he was of Armenian descent, but whether or not he was born in Armenia or Lebanon is unclear. Besides being a pianist, composer and conductor, he also ran his own record label “JK” and worked with other Armenians in Lebanon. When the Lebanese Civil War started, he left for America. There, he worked with Adiss Harmandyan. In 1996, Jacques Kodjian performed in New York City accompanying the Shushi Armenian Dance Ensemble. Many thanks to Hany Zaki for the information. Catalog number GVDL34 on Voix de l’Orient series for A. Chahine & Fils in Lebanon, manufactured and distributed by EMI of Greece, 1972. To the best of my knowledge, Fawez was from Lebanon. Lebanon (Arabic: لبنان), officially the Republic of Lebanon, is a small, predominantly mountainous country in Western Asia, on the eastern shore of the Mediterranean Sea. It is bordered by Syria to the north and east, and Israel to the south. Due to its sectarian diversity, Lebanon evolved a peculiar political system, known as confessionalism, based on a community-based power-sharing mechanism. It was created when the ruling French mandatory powers expanded the borders of the former Maronites Christian autonomous Ottoman Mount Lebanon district. No official census has been taken since 1932, reflecting the political sensitivity in Lebanon over religious balance. The 2006 CIA World Fact Book, Lebanon entry, gives the following distribution: Muslim 58.7% (Alawite, Druze, Nusayri, Shi’a and Sunni), Christian 40% (Armenian Catholic, Armenian Orthodox, Assyrian, Chaldean, Copt, Greek Orthodox, Melkite Catholic, Protestant, Roman Catholic, Syriac Catholic and Syriac Orthodox), and 1.3% of other religious sects. As for Fawez, I have not been able to find any information. 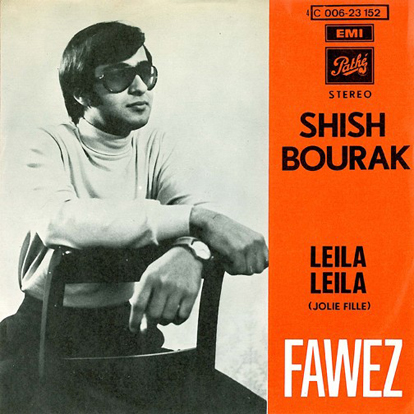 Both songs on this single were with the Orchestre Rahbani, and the song “Leila-Liela” on the flip side was written by Elias Rahbani. I even tried e-mailing Mr. Rahbani, but the message was returned undelivered. Catalog number C 006-23 152 on Pathé / EMI, pressed in Belgium. No release date given. I have not been able to find any information on Mohamed «Mike» Hegazi or his Golden Guitar. 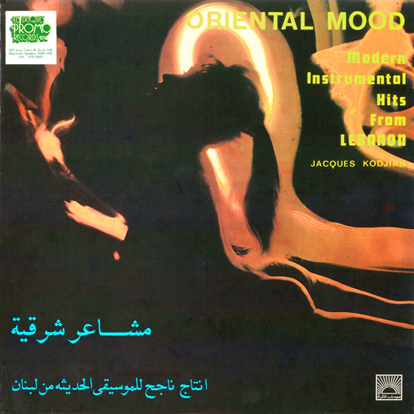 Catalog number 01GVDL304 on Voix de l’Orient, manufactured by EMI of Greece in 1979. Her sister was Taroub, who was a well known singer in both Lebanon and Turkey as well, and they both were of Turkish descent. 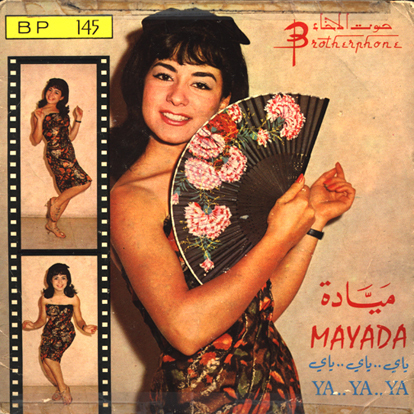 Mayada had a very short lived career from mid to late Sixties, recording few singles and singing in night clubs in Beirut. From this single, you can hear an influence of the Yé Yé Girl movement from France. Catalog number BP 145 on Brotherphone of Beirut, Lebanon. No other information is available.